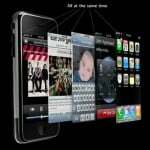 There is a bit of frustration surrounding Apple's implementation of multitasking in iOS 4. It's a good solution, but of course, it comes with certain trade-offs. For example, there is no API that would allow your RSS reader to update by itself in the background, or Instapaper to pull the latest things you saved. There are many other examples. The idea is to have a silent audio clip play in the background. This would use one of Apple’s backgrounding APIs that allows music to play in the background. Turns out it works flawlessly. You can finally copy from your Mac or on your iPhone without having to open Pastebot after each copy. When you copy from another app, the signature Tapbots copy sound plays to inform you that Pastebot received it. Well, not so fast, as Apple rejected the app at first. As far as Apple is concerned, it's not ok to play silent audio all day long. Instead, the app needs to let users pick their own music. However, nothing prevents Pastebot from providing you with a silent song. 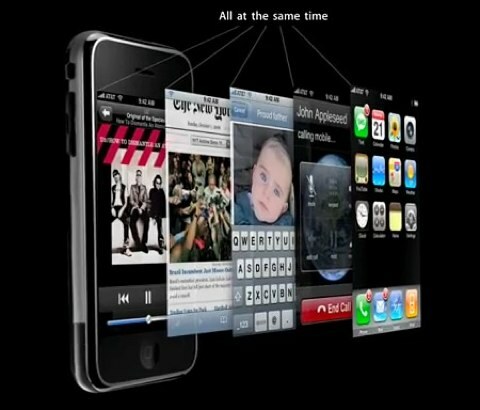 You can then sync the song to your iPhone and have the app use it. At least, that's what they hope, as they resubmitted a version without the silent song. If this works out, not only will it make Pastebot great, but this approach could be used by other apps. This means full multitasking potential for all of your apps. That is, unless Apple blocks the workaround, which is actually quite likely.